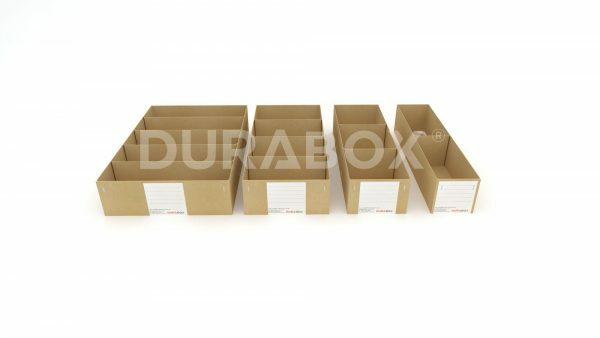 DURABOX is your solution for small parts storage with an extensive range of over 150 sizes and combinations of parts boxes. 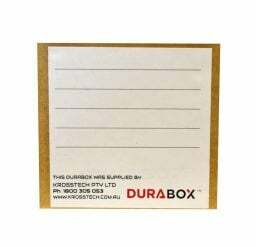 Designed and custom made to suit the size you require, DURABOX is heavy-duty and maintains high standards when it comes to protecting your important stock items or products from dust, humidity and corrosion. All DURABOX double lined 2.1mm solid fibre board boxes are manufactured in Australia using the best materials. This means that for all your storage needs, you can get parts boxes that match your specifications and receive a superior quality storage solution.